Lei Lu received her Master and Ph. D degrees in Institute of Metal Research, Chinese Academy of Sciences in 1997 and 2000, respectively. From 2003, she worked at Massachusetts Institute of Technology (MIT), NIMS, Riso DTU as a visiting scientist. In 2005, she became a full professor in Shenyang National Laboratory for Materials Science at Institute of Metal Research. Now she is serving as the member of International Community of Nanostructured Materials. Lu’s research is focused on the fundamental research of the synthesis, microstructure characteristic and mechanical properties of nanostructured metallic materials. She and co-workers proposed a new strengthening principle for metallic materials – strengthening materials by engineering twin boundaries at the nanometer scale. She authored and co-authored over 80 peer-review international journal publications (including Science, Nature, Acta Mater. etc) with total citations exceeding 5700, held 6 domestic patents, 3 international patents and presented over 40 invited lectures at international conferences. 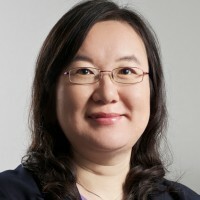 Her work has been recognized by numerous awards, including Hundred Excellent Ph.D Dissertation in China in 2002, National Science Foundation for Outstanding Youth in 2007, Tomorrow Star in Science by Elsevier and Science New in China (2009), Top 10 Breakthroughs in Chinese Fundamental Research (2009), and the Young Female Scientists Award of China (2012). She was also selected as a Thomson Reuters highly cited Researcher in 2014 & 2015 (Top 1%). From January 2016, she is serving Acta Materialia & Scripta Materialia journals as an editor.